Some people just seem born to make a difference. 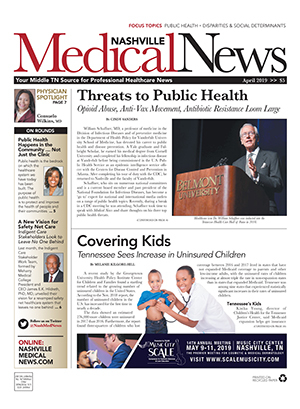 Such was the case for Monique Anthony, MPH, CHES, director of the Office of Minority Health and Disparities Elimination at the Tennessee Department of Health. Anthony took the helm as interim director July 2017 and was named to the permanent position in December. Previously, she served as the office's director of capacity building since August 2016. "Monique has dedicated her career to improving population health and is passionate about patient advocacy, building community engagement and reducing health disparities," said TDH Commissioner John Dreyzehner, MD, MPH. "She has extensive experience in cultivating partnerships and innovation and has already proven to be a dedicated advocate for vulnerable and disadvantaged populations in her role as acting director, so I am especially pleased she will take on this important leadership role going forward." "I've always been interested in medicine and health ... and in helping people," Anthony said. "At a basic level, I've always wanted to feel like I'm contributing to the success of someone, whether that's an individual, an organization or a community." 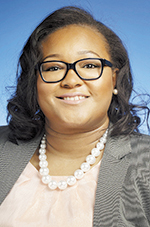 A native of Nashville, Anthony followed her lifelong passion for healthcare, earning her bachelor's degree in biology from Spelman College in Atlanta. While working in a hospital, she encountered colleagues who also held Master's in Public Health degrees. "Seeing that sparked my interest, so I began to do my own research in areas outside of direct patient care, to see what the other side of health means," she said. That curiosity ultimately led Anthony to Johnson City, where she earned her own MPH degree from East Tennessee State University. Prior to joining the Tennessee Department of Health, Anthony served as program coordinator at Meharry Medical College, managing the SECURE/Gulf Coast Transdisciplinary Research Recovery Center for Community Health grant. The grant brought together a consortium of seven medical and public health institutions to address challenges affecting the health of those living in Gulf Coast communities prone to disasters and environmental contamination. A certified health education specialist, she is a member of the Tennessee Public Health Association, the Meharry Medical College Institutional Biosafety Committee and the Tennessee Cancer Coalition, for which she serves as co-chair of the executive committee. Anthony is also a member of LEAD Tennessee Alliance 9 and remains active in community service with a number of organizations. In her role as director of Minority Health and Disparities Elimination, Anthony provides administrative, financial and operational leadership and oversight for programming to reduce health disparities and improve overall health and well-being of minority populations, especially racial and ethnic minority populations across the state. 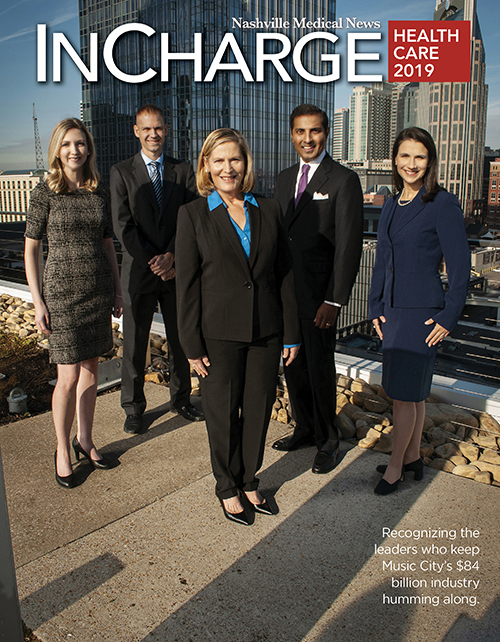 Managing a budget of $1.1 million and five staff members, she facilitates and advocates for the development of policies, programs and services that appropriately respond to the cultural and diverse needs of Tennesseans. "When I accepted this position I was looking for a challenge and for growth opportunities," Anthony said. "Stepping into this level of work has definitely shifted my thought process and how I approach the work. A paradigm shift from individual community engagement to big picture systems change can provide greater impacts in moving the needle in disparities elimination." As director, Anthony hopes to expand the department's reach in educating the community around minority health and to promote her office as a resource equipped with tools to address health disparities. Anthony said health professionals, as well as the public, are often not familiar with the services and resources available through her office. To that end, she's partnering with faith communities, academic institutions, coalitions, nonprofits, and other traditional and nontraditional partners statewide to help them reach underserved and minority populations. "We pride ourselves on providing technical assistance for our communities and bringing their voice to the state level," Anthony said. "One of the things you learn quickly trying to address health concerns within a community is that you have to meet people where they are and not try to come in with your own assumptions of what they need. We're looking at ways our office can be more effective at building capacity within the community by being that connector to resources." Anthony hopes to create a niche cultivating relationships with people and partners in each community. "At the Tennessee Department of Health, we all strive to break out of our silos and work together collectively to address needs of the community," she said. She hopes to further that effort by incorporating disparities into those ongoing conversations. But as any public health professional will tell you, building bridges starts with building trust. For many populations, that relationship has been corroded by a decades-old mistrust of any government organization. Building those bridges, said Anthony, is the only way to improve outcomes for underserved populations who may not have access to affordable care, who may not understand health practices that prevent illnesses, and to address early stages of disease. She also hopes to gain support from those who have contact with these communities on a daily basis. "Each of us, whether clinicians or other health professionals, are called to really listen to the person we are serving," Anthony said. "Whether a patient, a concerned family or community member, we must dedicate the time needed to make each person feel valued and heard."